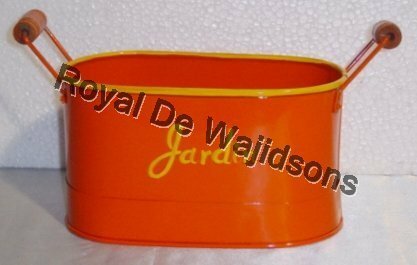 Prominent & Leading Manufacturer from Moradabad, we offer jardin red vase and jardin planter. 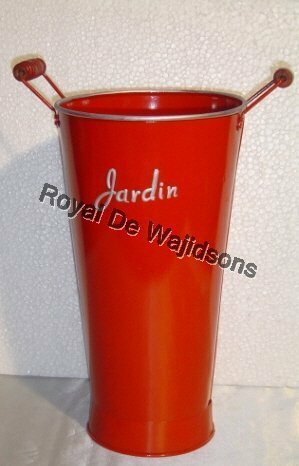 Jardin Red Vase offered is an excellent home decoration item having the shape of a classic flower vase. The narrow neck and flared top make the perfect vase to display your flower arrangement. Jardin flower vase is available in exclusive range of design and styles. They come in spectrum of colours and varied coatings. Vases laden with flowers accentuate the look of the rooms and at the same time fill them with fragrance. The flower vase offered is very durable and is available in a wide assortment to satisfy the demands and tastes of different colours. The vase is offered in a numerous sizes. The vase is made of high quality material and is available at competitive prices. The product is high in demand and is highly durable.